Address as Long Drove in 1851 census. Lot number 4 in the sale of Freehold Properties to be held at the BELL, Hilgay on Friday 24th July 1857. The seven lots were the remaining properties of Robert Martin Layton Esq., who had disposed of his Brewery. 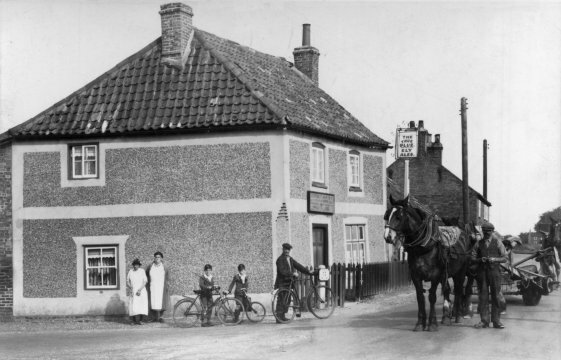 Described as a Beerhouse, noted for trade, adjoining the road leading to the Hilgay Station; with two convenient Cottages, a Stable and small Yard. The True Blue being in occupation of Samuel Shingles. Offered To Let September1900 with possession from Michaelmas - Apply Mills, brewer, Downham Market.